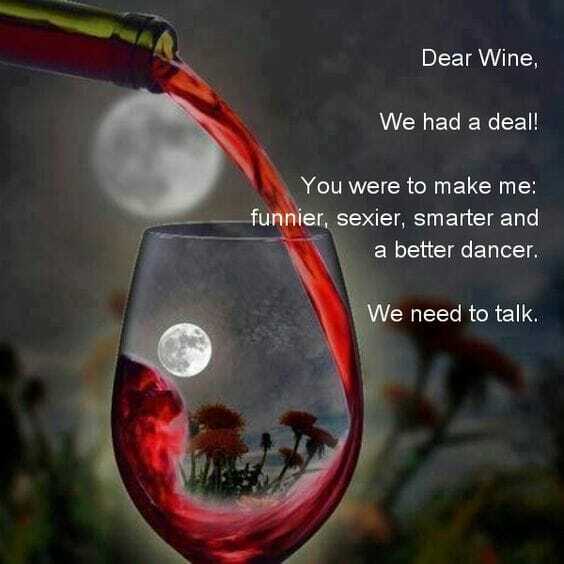 Dear Wine We Had a Deal. 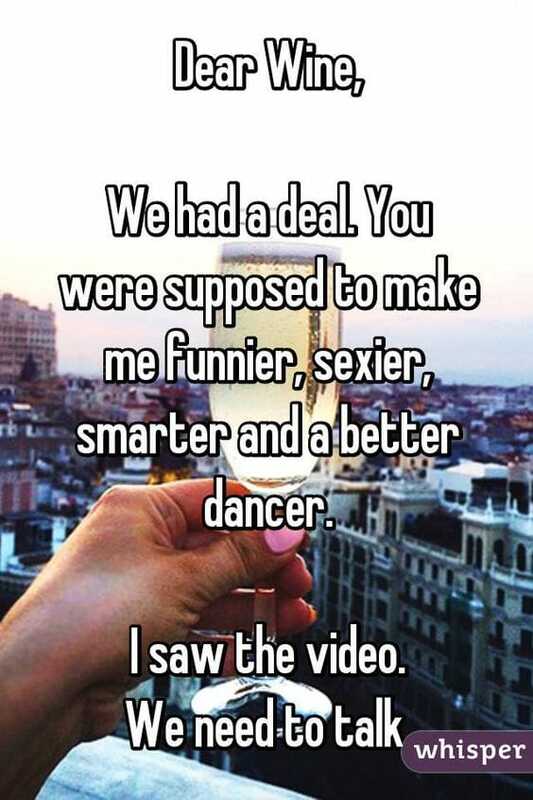 You were to make me funnier, sexier, smarter and a better dancer. 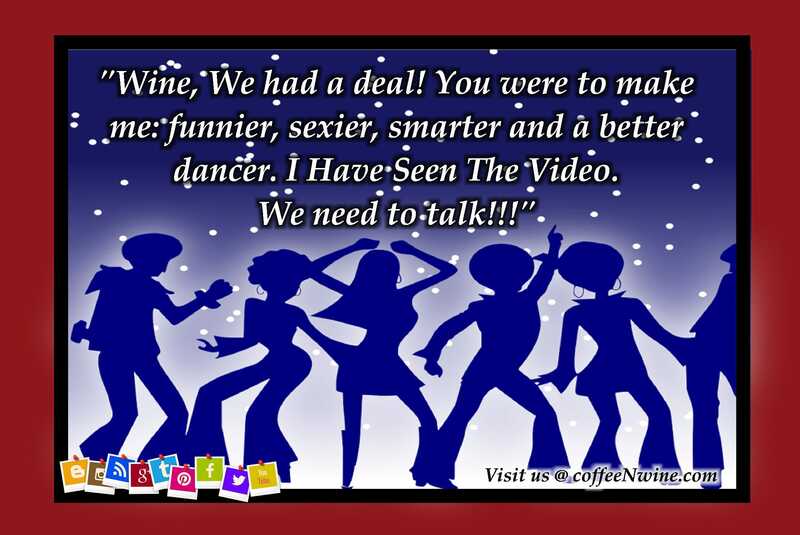 I saw the video. 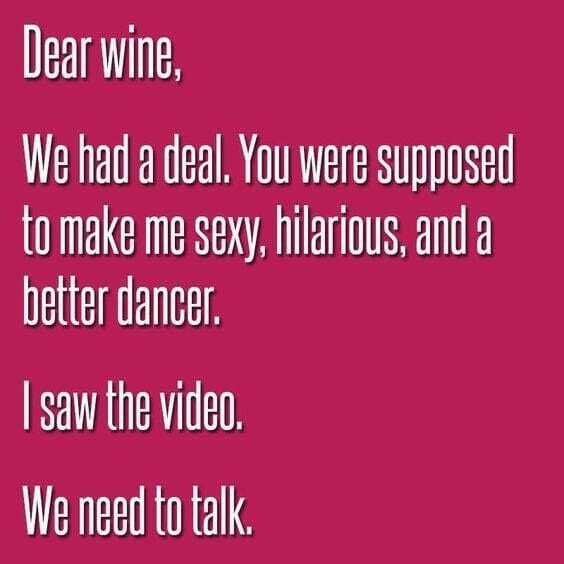 We have to talk. 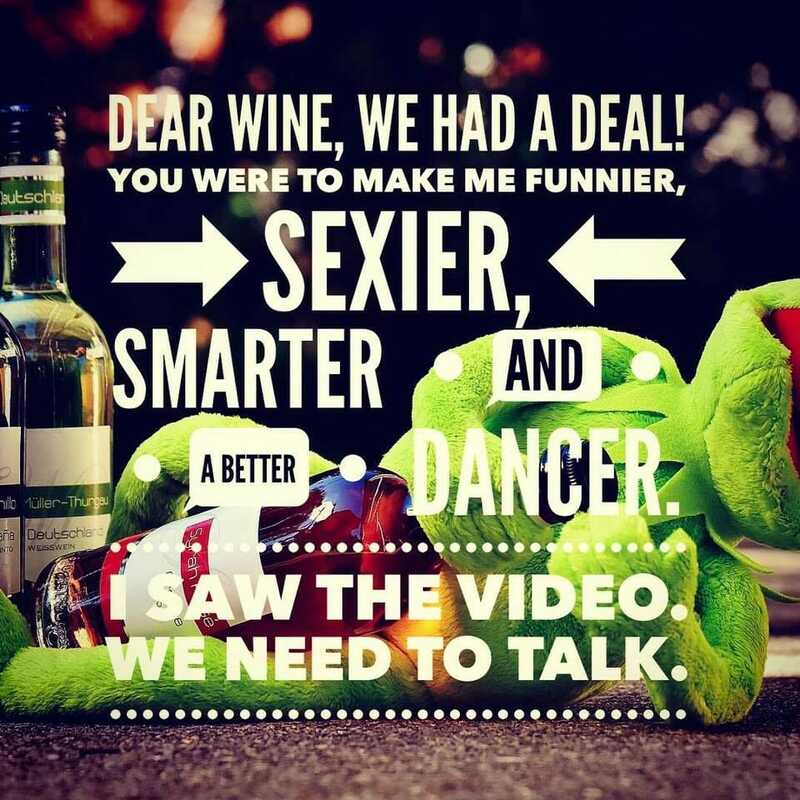 What exactly is too much wine? 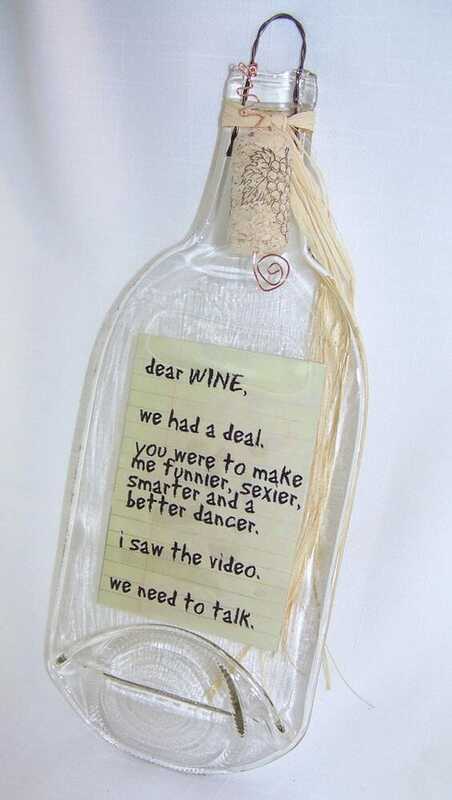 People who drink wine enjoy it quite a bit. Sometimes a little bit too much and they may end up doing things that they would not normally do. This image is always funny to me. I have seen several variations of the same concept. So I’m rounding up images from different social media sites to share with you today. Let me know which one is your favorite in the comments below. Each social media site like Facebook, Twitter, or Pinterest has different ways in which they post the images. 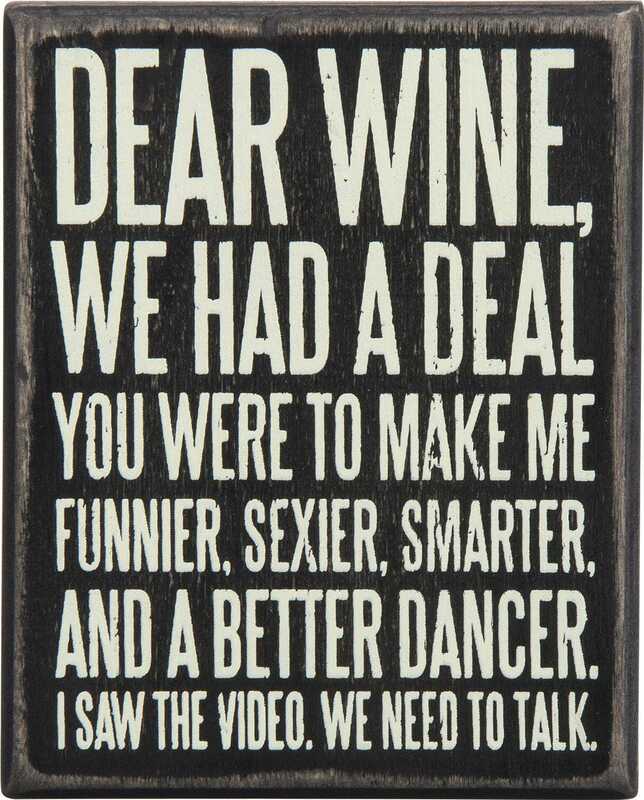 You can even find some cool stuff on Amazon that says Dear Wine. 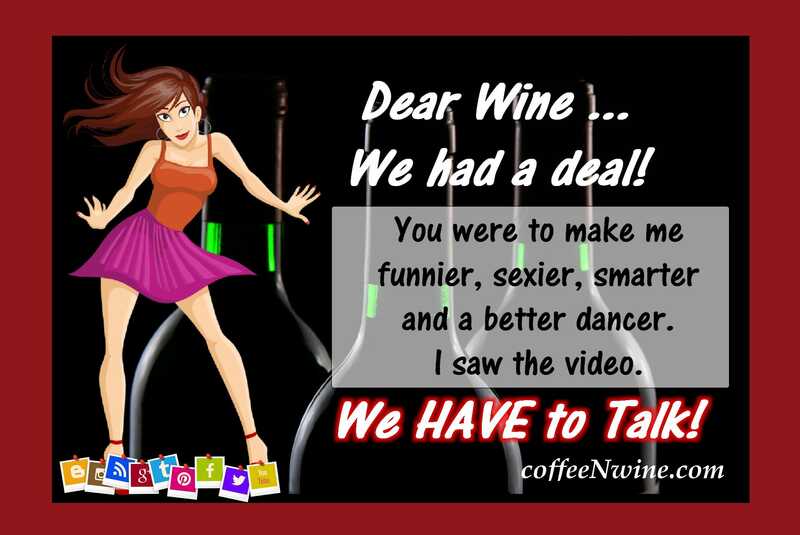 I have included the Social Media Site where I found the graphics for Dear Wine We Had a Deal and a link to give credit. Obviously, most of this images are not mine. 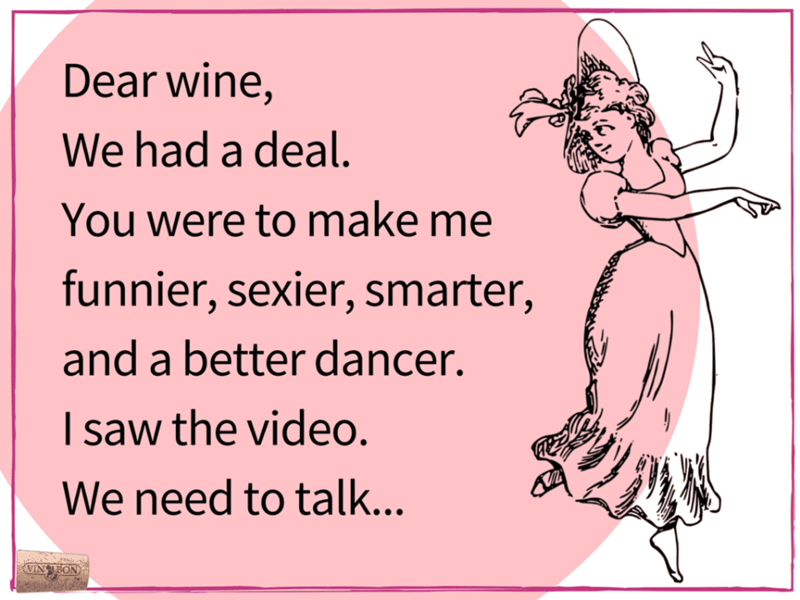 But I do want to give credit, where credit is due. 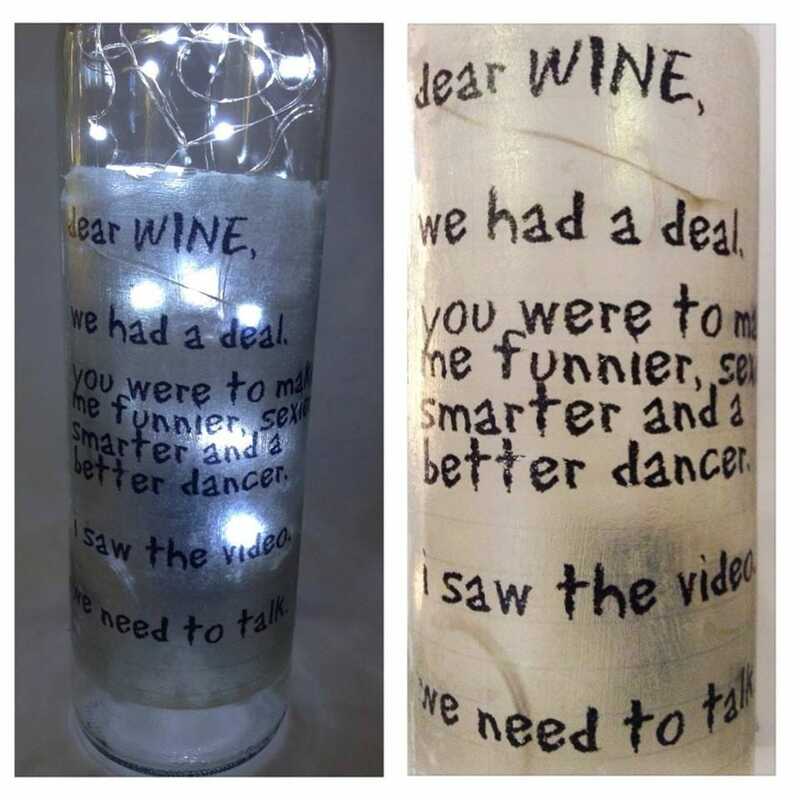 Below are some cool stuff that you can find on Amazon about Dear Wine. Click On The Image to view the item on Amazon. I have seen this quote in many places on the web. I only posted on 3 social media sites and Amazon. But you can easily find them on Instagram, Google+, 500px, Tumblr and many more sites. The graphic can change in many ways. But the message cannot. 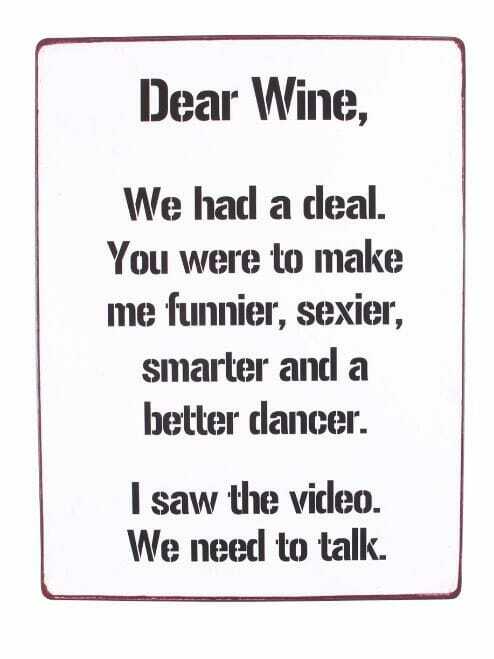 Drinking a lot of wine can make you think that you are dancing, driving, or talking at the top of your game. Is there a time when having a drink or two is something that may hurt you? If you are not out partying until the first hours nightly, you haven’t got something to fret about, right? Perhaps not. Many folks suppose that unless you are staggering home nightly, an everyday drink does not do anyone any hurt. However, that may not be always the case. What number of times have you ever declared you are simply out for ‘one’ and suddenly you are making an evening of it? It all begins with much smaller amounts of alcohol than the general public would suppose. 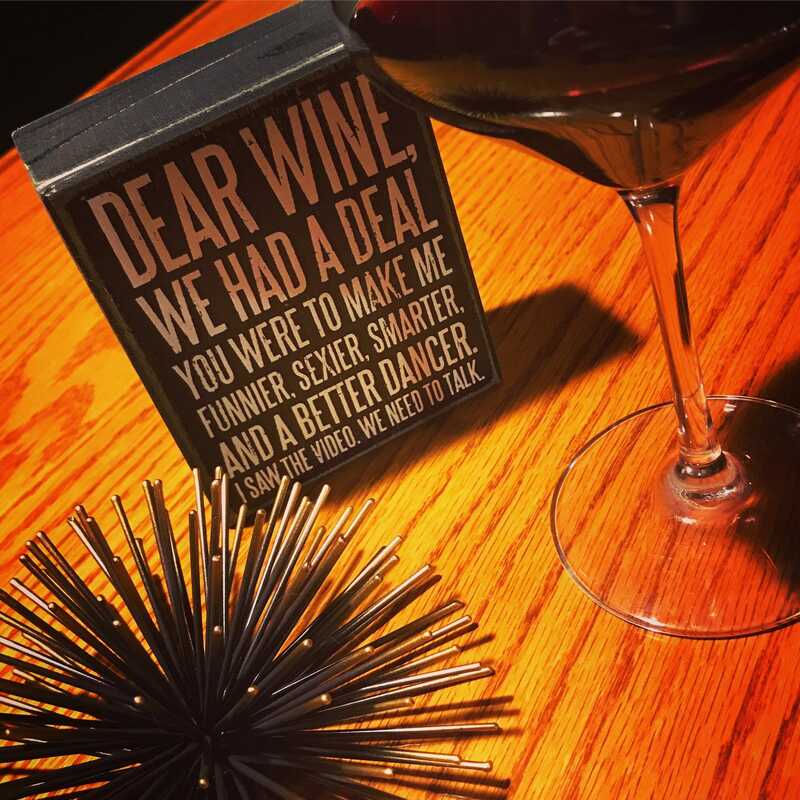 Drinking as very little as a couple of glasses after work on weeknights, or sharing a bottle of wine with friends on most nights, may or may not mean you are drinking just a tad bit more than what you would like to admit. And consequently, may be messing with your health. Take care of yourself and by doing so, you will also be taking care of everyone else around you. 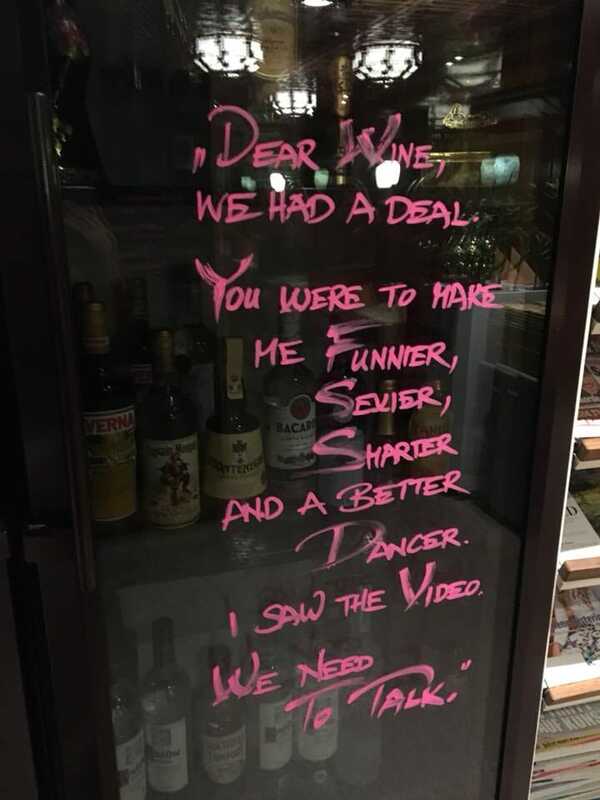 If you like this Dear Wine We Had a Deal images please let us know which one is your favorite in the comments below.